I was born in south Florida, and lived there until I was eight when we moved to North Carolina. I have three siblings, and I share the middle child space with my brother, the only boy, so I have like, double the middle child syndrome. I love animals; I have a dog, two cats and a bird right now and I’d have more if my landlord allowed it. In the fourth grade I received an end-of-year superlative for “Funniest Girl” and it remains my crowning achievement. I do not have as much time to read as I wish I did, but I did finally pick up “The Price of Salt” which was amazing. Also, “Small Wonders,” by Courtney Lux and “Black Dust,” by Lynn Charles. I usually get some kind of grilled chicken salad. I’m boring when it comes to food. Another novel, and at least one novella. I’ll read anything, but my favorite books are contemporary. I like people stores. I like to browse. I’m not usually looking for anything in particular, but a title or cover will catch my eye and if the blurb and first few pages grab my interest I’m in. A way of teleporting would be great, let’s get on that. To me, romance is making a choice to stand by someone and want the best for them, I guess I like the whole “love is a verb” idea. Yes I can! 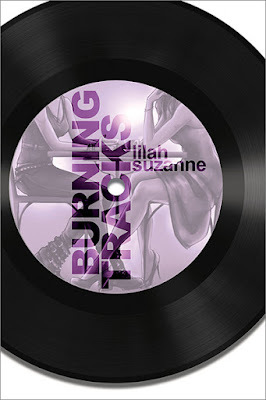 Burning Tracks is the second book in my Spotlight series, and I’m currently working on the third and final novel. After that I’d like to write a spin-off novella for one of the minor characters in the series, and I’m also working on an unrelated novella that’s set on a farm in Washington state. Meet the author:Lilah Suzanne has been writing actively since the sixth grade, when a literary magazine published her essay about an uncle who lost his life to AIDS. 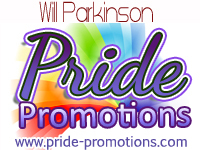 A freelance writer, she has also authored a children’s book and has a devoted following in the fan fiction community. She is also the author of the Interlude Press books Spice, Pivot and Slip, and Broken Records, which was named a Top Pick by RT Book Reviews Magazine.